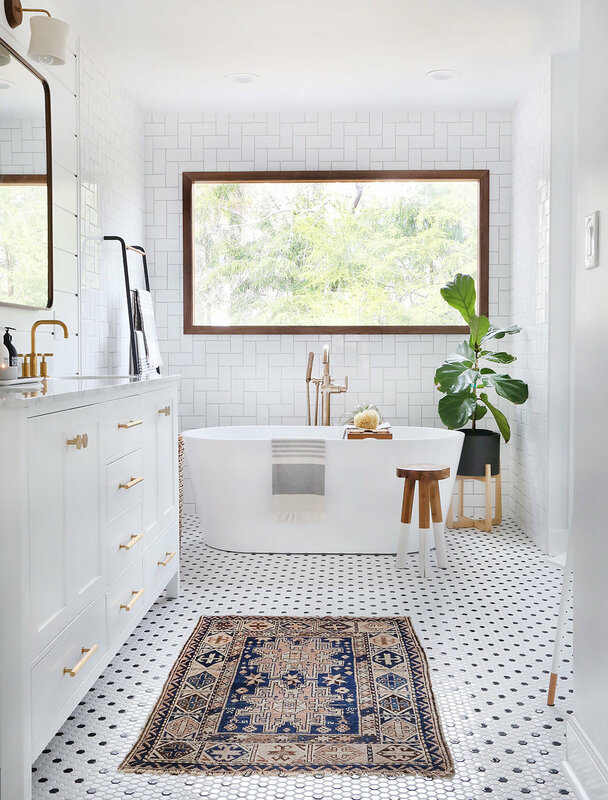 We often get questions weighing the risks of putting a vintage rug in front of a kitchen sink or in a bathroom due the common fear of it getting dirty or wet. Our answer always is--absolutely do it! Antique or vintage rugs stand the test of time and it actually takes a lot more than a little water or cooking crumbs to ruin it. We recently had the pleasure of working with Erin, from Sunny Circle Studio, to find the perfect rug for her new bathroom. Check out her full blog post filled with before and after pictures of her amazing master bathroom renovation featuring one of our rugs!